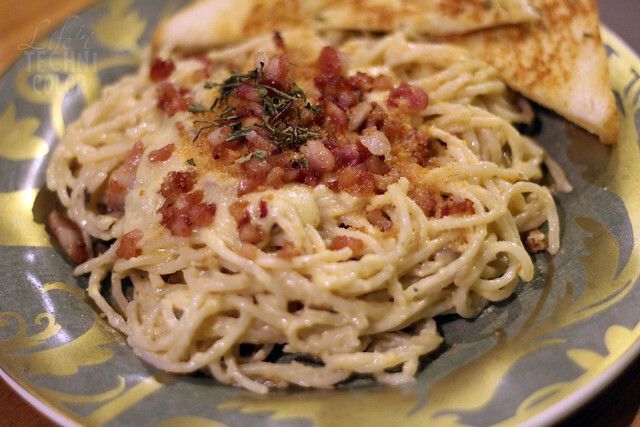 Welcome to Gabe's Homegrown Dishes - a cozy restaurant just along Blue Ridge, Katipunan! 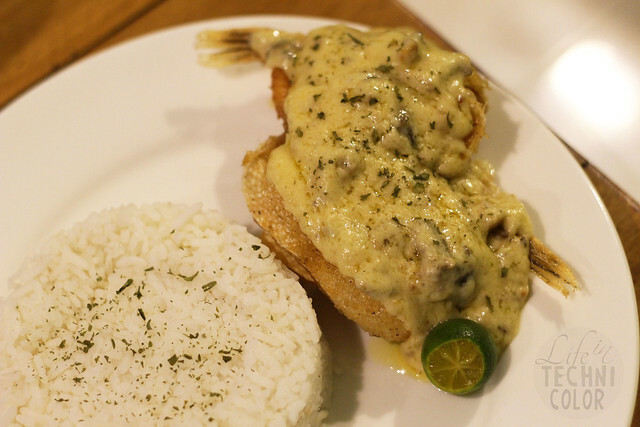 Gabe's Homegrown Dishes is situated on the second floor of YDG Building (where the Sbarro office is located) - it's actually easy to miss if you're not familiar with the area. So if you're planning to visit, make a mental note to slow down when you've already passed Hoy Panga and Nathaniel's - it should be on your right soon. Gabe's has been around for two years now, but only relocated to YDG building last November 2015. 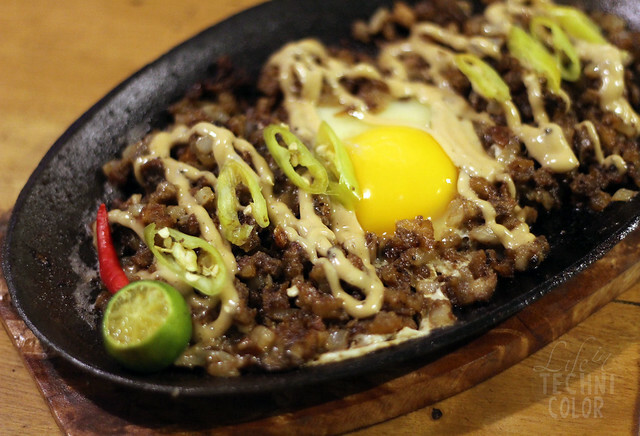 They offer a mix of local and foreign dishes, from sisig and kare-kare to burgers, pasta, and more. 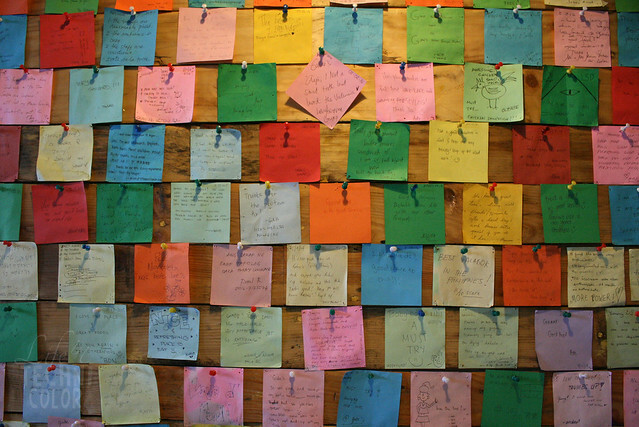 Once you step inside, a wall filled with notes will greet you - each one with messages of love for the affordable and delicious dishes Gabe's offers. I even wrote one myself before leaving the restaurant that evening. 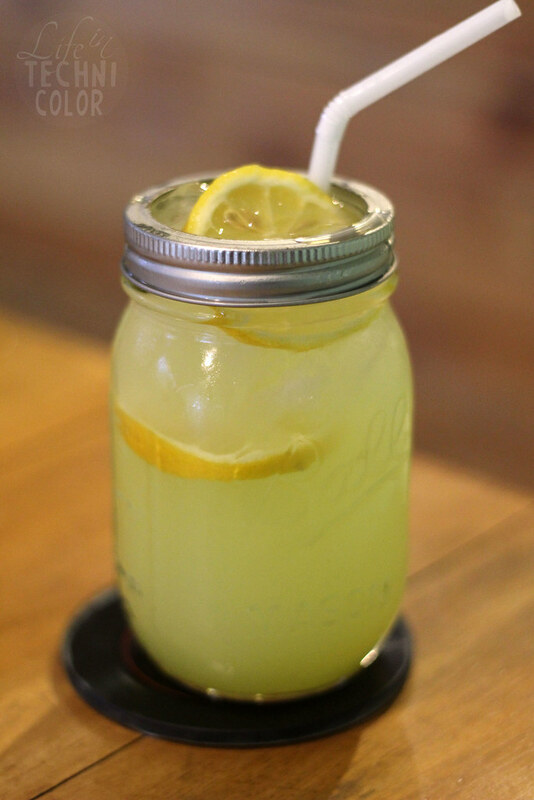 We began the night with jars of their Freshly Squeezed Lemonade (P65). Lemonade has quickly become my favorite fresh juice drink since the weather nowadays can be really humid. It works as a great refresher any time of the day. 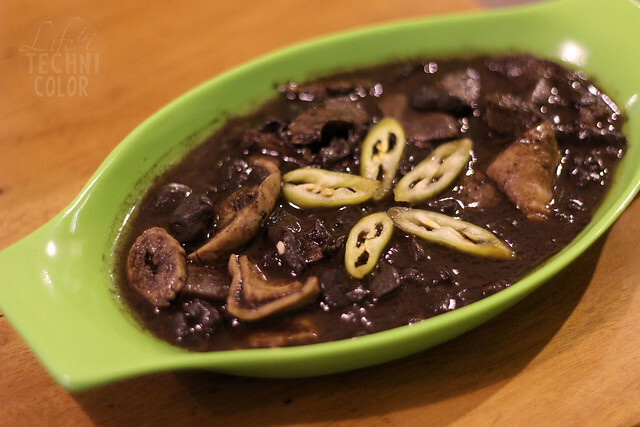 If you're a fan of Kare-Kare, this huge bowl costs only Php200. I loved that the sauce was made thick, though maybe it could've used some more peanut flavor in it. Oxtripe, beef, and lots and lots of vegetables with shrimp paste on the side - best eaten with rice! 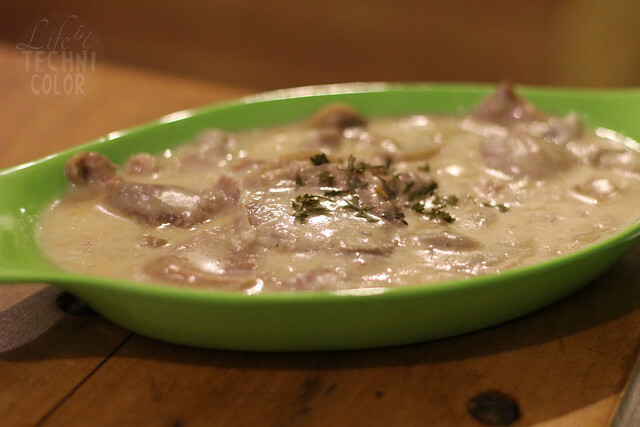 Their Lengua (P250) is one of my favorites at Gabe's. 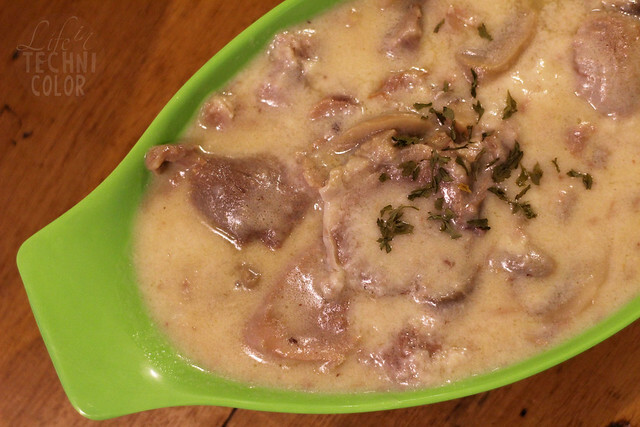 I liked the flavors and the creaminess of it, plus it contains mushrooms, so automatic plus 5 points for this! Haha! 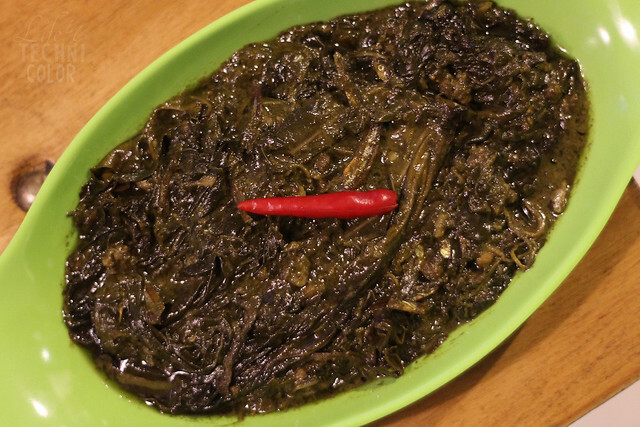 The Laing with Dilis (P90) is probably the dish I looked forward to the most since I am such a huge laing fan. Their version has just the right amount of spiciness in it, though I wish they chopped the dilis into smaller pieces to make it easier and more enjoyable to eat. Legit Pansit Malabon for only Php100! Dan's wife is from Malabon so she's pretty much an expert when it comes to this dish. I love that it's loaded with toppings - I mean, who doesn't like shrimps and eggs, right?? 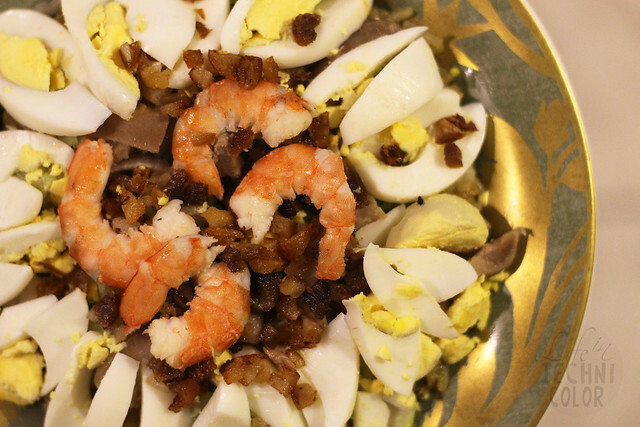 Their Pansit Malabon also comes in bilao, which you can eat at the restaurant or enjoy with your family at home! 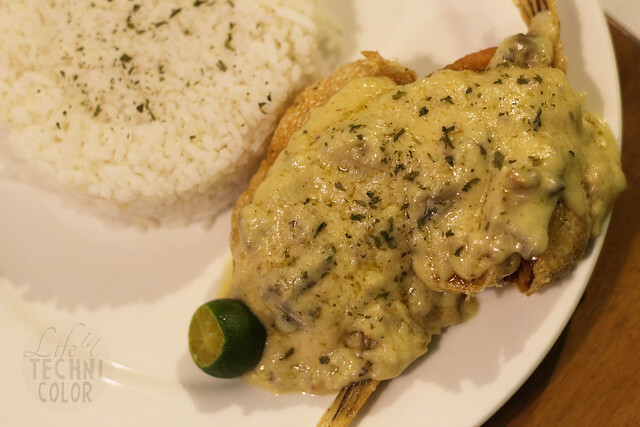 Now if you like seafood, perhaps you should try their Salmon Belly in Bechamel Sauce (P160). You'll find that the fish underneath all that sauce is fried. It's a lighter and crispier dish compared to the others we've tried so far. 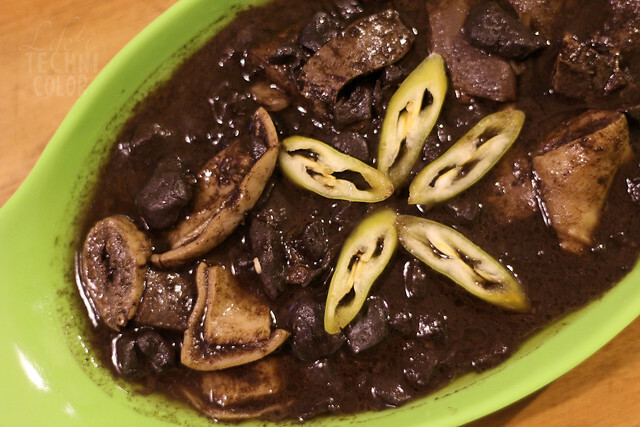 The Tinumis (P90) is Malabon's version of dinuguan. 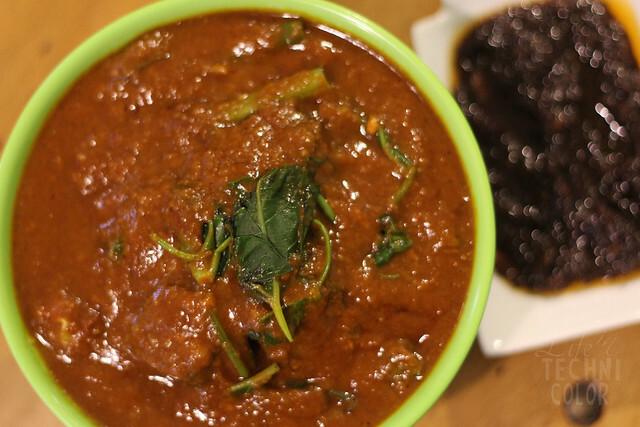 It makes use of tamarind leaves rather than vinegar, so it's still on the sour side. 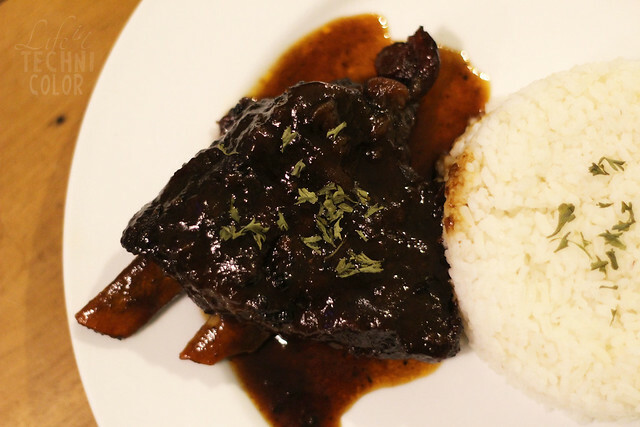 Now if it's meat you want, go for their Baked Ribs (P190). It's pork tender ribs marinated and broiled in special Barbeque sauce and homemade rub. No need to use a knife with this one! P.S. their cup of rice is at least 1.5 times larger than the usual serving in restaurants. One thing's for sure, no one leaves Gabe's still feeling hungry. 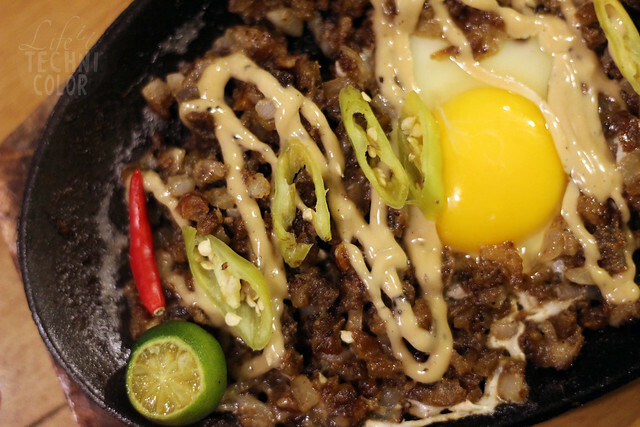 Dan also had us try their Crunchy Pork Sisig ni Gabe (P185). 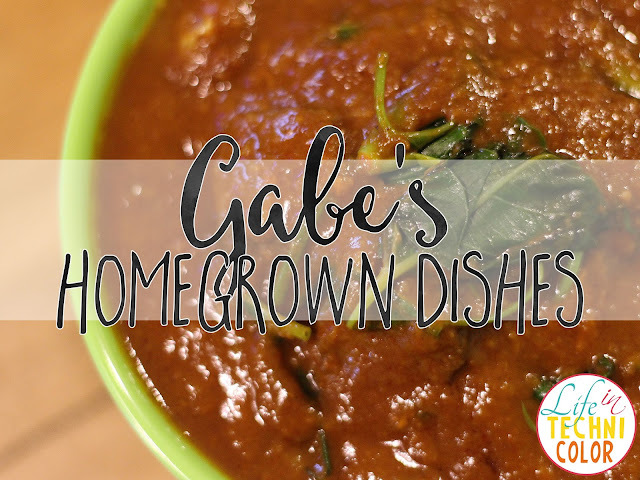 It's one of their specialties here at Gabe's Homegrown Dishes. 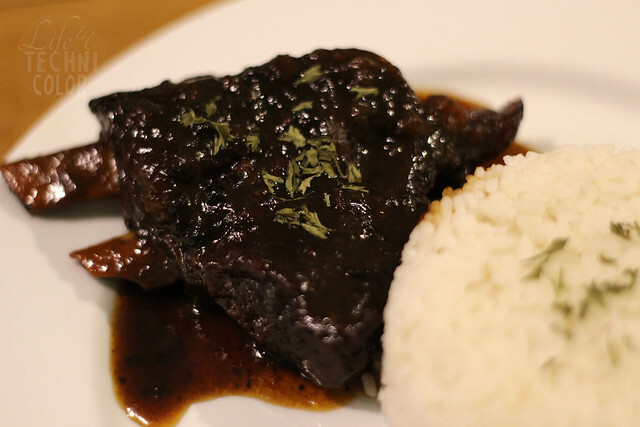 You can opt to add some soy sauce to it or just eat it the way it is. It's crunchy and creamy, and it comes with raw egg which when you mix altogether, results to one delicious dish! 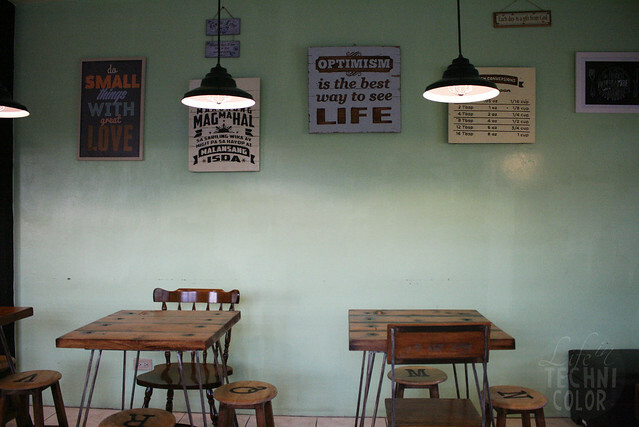 For their all-day breakfast offerings, they have tapsilog, tocilog, longsilog, bangsilog, and horseylog. Yes, I said Horseylog. This one is for the brave at heart. For Php115, you get an order of horse meat with rice and egg. 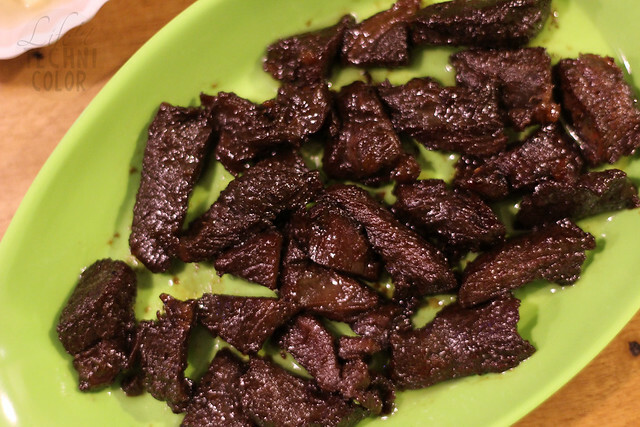 It's like regular beef tapa but with a slightly sweeter taste. I would have prefered it in thinner slices, but it's not bad. Not bad at all. For dessert, we had the Halo-Halo and Valencia de Malabon. They also have Fried Oreos which I would've tried, but I was already too full after these two. 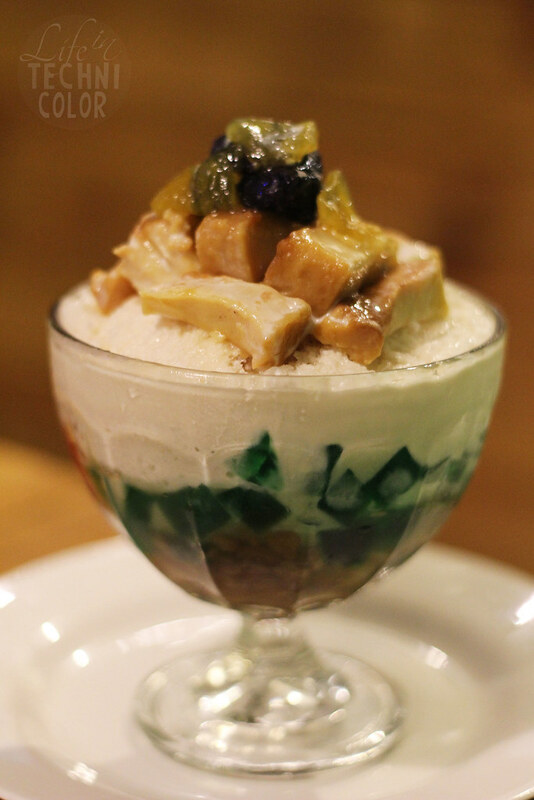 Gabe's Homegrown Dishes' Halo-Halo (P100) has over a dozen ingredients in it so you're sure to enjoy each bite. My favorite ingredients are Gabe's homemade leche flan and ube. 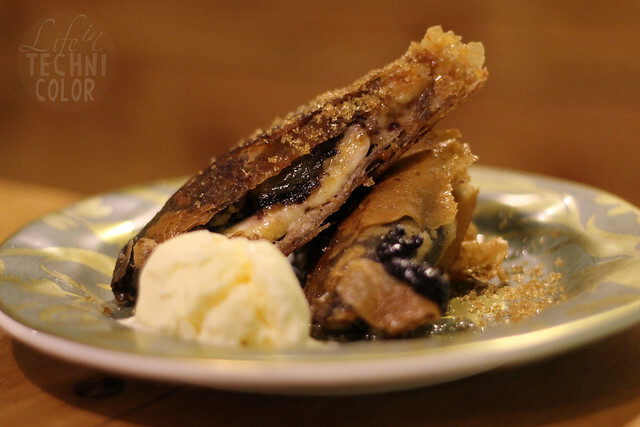 levelled up turon puts together saba, ube, monggo, and langka into one amazing dessert. I can't even begin to express how in love I am with this! The wrapper is then coated in sugar for that added crunch and served with ice cream on the side, so it's really a mix of hot and cold. Ten thumbs up for this!!! 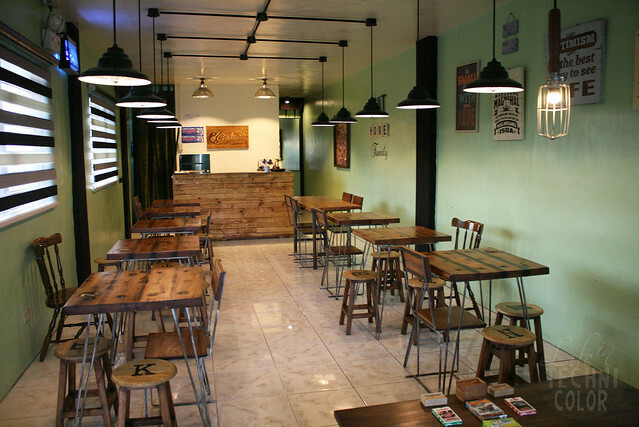 Gabe's Homegrown Dishes is located at the second floor of YDG Building, 219 Katipunan Avenue, Blue Ridge, Quezon City.